In this one-on-one session, we’ll explore your unique constitution according to the elements—ether, air, fire, water + earth. Together we’ll create a plan using healing foods, herbs and self-care rituals as tools to support your most vibrant self. Whether you need extra support when it comes to creating nourishing meals, navigating which herbs are best for you or how to create a new relationship to self-care, we’ll provide an easy to follow guide that removes the guess work and empowers you to tap into your intuitive wisdom. In this follow-up session, we’ll go deeper into using elemental eating throughout the seasons to support your unique constitution. This is a great time to check-in about the tools you’ve been working with since our first consult, work on new issues that arise and have continued support throughout your process. In this one-on-one, in-person session, we’ll explore your unique constitution according to the elements—ether, air, fire, water + earth. Together we’ll create a plan using healing foods, herbs and self-care rituals as tools to support your most vibrant self. 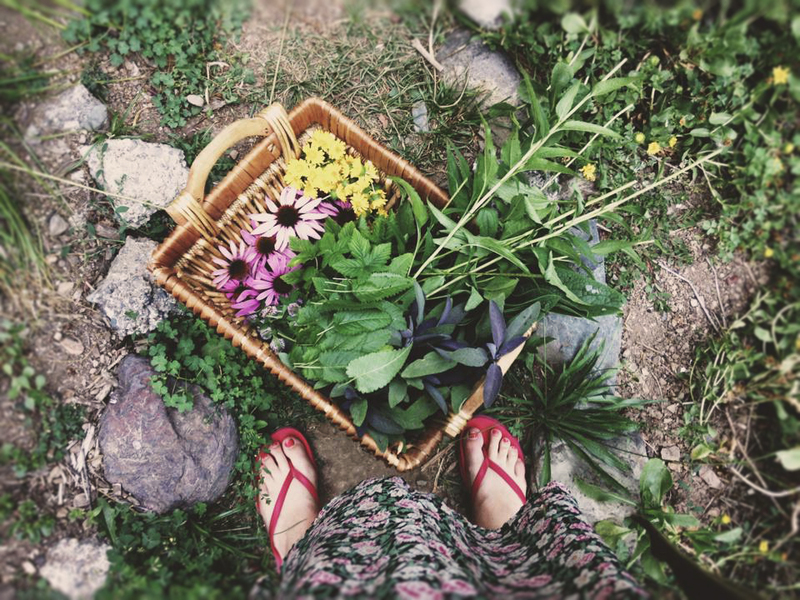 Whether you need extra support when it comes to creating nourishing meals, navigating which herbs are best for you or how to create a new relationship to self-care, we’ll provide easy to follow tools that removes the guess work and empowers you to tap into your intuitive wisdom. As a natural foods chef and firm believer in food as medicine, it was incredibly interesting to learn about healing foods through the Ayurvedic perspective. What I loved most about Sarah and Summer's teaching was their message of intuitive eating and using our individual constitution to determine what foods are best for balancing not only our physical bodies, but our mind and spirit, as well. The beautiful recipes we made incorporated tonic and medicinal herbs and were deliciously simple. And finally, one of the most fun parts of class for me was learning the ancient and sacred art of making ghee. The whole process of that, including infusing the golden ghee with herbs, was so empowering and has carried over into my healing home kitchen." I was introduced to The Great Kosmic Kitchen at Spirit Weavers Gathering this year. The title “Be Radical. Eat Traditional” resonated so deeply with me, I just knew I had to join the class.“I was introduced to The Great Kosmic Kitchen at Spirit Weavers Gathering this year. The title “Be Radical. Eat Traditional” resonated so deeply with me, I just knew I had to join the class. It was amazing to learn about how many things I can add to my meals on a daily basis that aren’t difficult to find, and will be great medicine to my body. I also purchased their cookbook, which was the first I’ve ever read cover to cover.